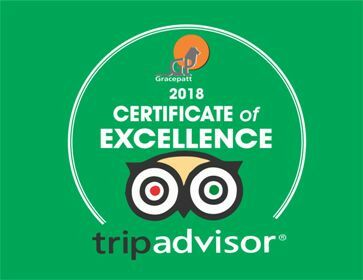 Gracepatt Ecotours Kenya crafts distinguished wildlife travel for nature enthusiasts who want to be away from mass tourism and have a safari experience that goes beyond the “Big Five”. We put quality time in national parks we visit and spend maximum time on safari without the restriction of morning and afternoon game drives. This wildlife travel in Kenya visits Masai Mara, Lake Nakuru, the private conservancy of Swara and finishes off with Amboseli. On this safari you can expect to see elephants, buffaloes, rhinos in Lake Nakuru, lions, leopards, cheetahs, hippos and a lot of plains game. As with all Gracepatt’s wildlife safaris in Kenya, we include guided walking safaris that allows you to step out of the vehicle and see plains game while on foot. In Masai Mara national reserve your walk will be guided by Masai Morans. This is a fully supported Kenya wildlife travel with accommodation in luxury tented camps and small lodges making it ideal for senior travelers and families with children. We handle all tour logistics leaving you free to enjoy your safari. Arrival at the airport at night and reception by Gracepatt Ecotours Kenya. Transfer from the airport to the Nairobi Safari Club or equivalent hotel in Nairobi. This tour starts with the very best of Kenya’s national parks: Masai Mara, the Africa that every one dreams of. For the 3 days we will explore the open savannas plains, the riverine forests and meandering rivers for elephants, giraffes, buffaloes, zebras, gazelles, crocodiles and hippos. Wildlife travel in Masai Mara is an all year-round affair and not restricted to the July-September period of wildebeest migration. There is a resident population of wildebeests and plains game throughout the year. The cats, which by nature are territorial, are also permanently there defending their corners. You will possibly see a wide variety of game in Mara outside the migration period as most animals move out with the high stress of the wildebeest “invasion”. On Day 4, after a game drive in the morning, Masai Morans will guide us on a soft walk in the rolling hills and grasslands, out of the park boundaries where we will have close encounters with gazelles, zebras and giraffes. En route we will visit a Masai village. 3 nights at the Mara Leisure Tented Camp / Ashnil Tented Camp / Simba Lodge. We leave Masai Mara and go to the Rift Valley stopping at the Kiambethu Tea estate for a farm lunch. We arrive at the Maili Saba tented camp, our base for 2 days, in the late afternoon. This camp, which opened early ‘06, is one of our favorite places. With 10 luxurious tents built on the edge of the dormant Menengai Crater, Maili Saba offers all what a nature traveler would want in an African holiday: silence, tranquility, one-off scenery, unique accommodation and food worth traveling for, all rendered in a level of service that is professional and non-intrusive. With a limit of only 20 guests, this is a place for anyone who wants to be pampered away from mass tourism. We will spend the day in the nearby Lake Nakuru National Park, famous for its thousands of flamingos as well as vast herds of buffaloes and tens of rhinos. There is a good chance to see cats such as leopard, cheetah and lion. Back to Maili Saba tented camp for overnight. Our wildlife safari is now headed to Amboseli but with a visit to the Swara Plains Ranch , which is the latest addition to our portfolio of camps and wildlife conservancies. Just 30 minutes out of the city of Nairobi, the 20,000 acres ranch is old wild Africa at its very best: wide open savanna grasslands, tall yellow fever trees, endless views, over 3000 resident population of easy to see plains game and +270 Kenya birds species . 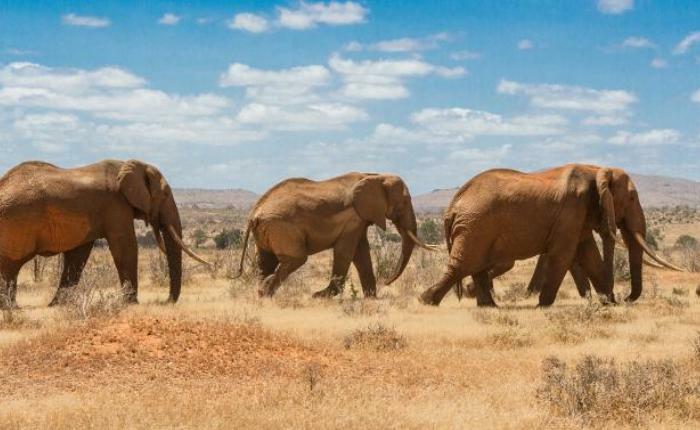 Swara Plains is part of the Tsavo-Amboseli eco-system and with exception of elephants, rhinos and buffaloes all the other plains game found in Tsavo and Amboseli are found here. You will see big herds of oryx, elands, wildebeests, giraffes, monkeys, hartebeests, zebras, impalas, Grant’s and Thompson’s gazelles, warthogs and the occasional gerenuk (= giraffe-neck gazelle) in total absence of mass tourism. The number of visitors to the ranch is deliberately kept small by having a camp (Acacia camp) with only 13 rustic and still comfortable bandas (= cottages) making this a place to see game without being surrounded by safari mini buses. For wildlife seekers, birders, walkers as well as anyone looking for a unique wildlife tour in Kenya, we invite you to Swara Plains for all the right reasons: one-off wildlife viewing experience, guided nature walks, colorful and easily found birds. Day/s here are for guided walks and game drives. We drive south to Amboseli national park at the foot of Mount Kilimanjaro. The magic of Amboseli is seeing the big game including huge herds of elephants, lions, leopards, cheetahs, impalas, Grant’s gazelles and elands with the backdrop of the snow-capped Kilimanjaro. This is a place for great photos justifying our tour as a photography safari. Should you be a birder Amboseli has +425 species of birds recorded. There are water birds, birds of prey as well as dry scrub birds. 3 nights at the Ol Tukai Lodge, Kilima Camp or equivalent. We end our Kenya Wildlife travel with lunch at Acacia Camp. Thereafter enjoy an extended game drive and leave for the airport in the late afternoon. Itinerary changes on your Kenya wildlife safari may be made due to local conditions beyond our control. PRICE: Our attractive safari price based on the size of your party includes all accommodation as per itinerary, all meals from breakfast of day 2 through lunch of day 11, all transport Nairobi-Nairobi and airport transfers, bottled water during the walks, services of guides, the park entrance fees and a Flying Doctors Evacuation cover. The only extras on you are spendings on airfare to Kenya, airport taxes, visa, insurance, drinks at the table, tips and expenditure of personal nature.